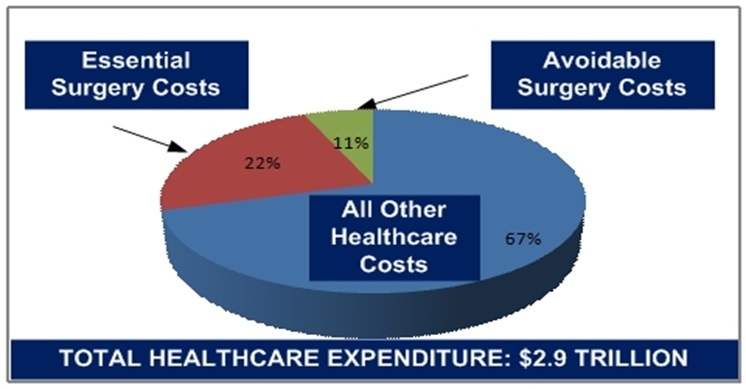 Healthcare Cost - Can We Ever Put A Ceiling to It? Health Care costs are no joke and although not rising as rapidly as they were between 2000 and 2011 it is still quite a hefty price we seem to pay to get our health needs met. Demand and supply are largely to blame for the increase in health care costs however there are other elements that affect it as well such as political decisions, increased regulations and additional taxes all play a role in the cost of health care. According to research done in 2015 the cost of health care is estimated to rise annually around 5.8 percent. These high spending rates are propelled by the coverage growth resources of the AFC (Affordable Care Act), the economy which is still in recovery and the fact that inevitably the population is aging at a steady pace. Population health management (PHM) is designed to improve the overall health of people. Healthcare Innovations International, LLC has been using it in a very unique way to develop functional analytic software that any hospital can use to reduce unnecessary expenses. So if immoderate taxation, over regulation and other such issues are partly to blame for the high costs in health care the question is what can be done about it? How can we lower the costs for health care? As with any other industry, the healthcare industry is in dire need for some competition which will help lower these high costs considerably. The difficult thing here is that a health care policy is required to cover the ten key health benefits therefore insurance companies are not given the freedom to come up with more innovative and personalized policies. It reminds me of the story of the original Model-T Ford. This was available for purchase in any color you choose, as long as this color was black. Now what else is responsible for these soaring costs for health care that seem to rise at an unsustainable rate? The extreme increase in the cost of medical services, the latest prescription drugs that are quite costly, the modern and expensive medical technologies, very unhealthy lifestyles and a service that is antiquated, one that is based on a fee for service paying for volume instead of value. This is a hard blow on the entire nation in many different ways. For those with families or our senior citizens having to pay a hefty price for health care means less money for other crucial things in life such as food, rent and assistance. For fortune 500 employers as well as small businesses it is very difficult to increase their amount of employees, preserve coverage for retirees and competing in the global economy becomes increasingly difficult. For our government whether it is federal, state or local these high costs mean that Medicare and Medicaid are more costly to fund so other important areas such as education, infrastructure and public safety take a cut. What we have to do to lower the rise in health care costs is a collaborative, all-inclusive, and bipartisan modus operandi. There is not one simple solution to do this but there could be many small ways in which this could be achieved. Innovative health plans, creative providers, modern coverage options, care coordination and health management for members with chronic conditions are all a great step in the right direction. By promoting a healthier lifestyle, patient safety, clarity and honesty with costs and care as well as not promoting health disparities we will not be a nation that depend on outdated, inconvenient and overly priced health care systems and we can adapt more suitable and modern systems for our day and age.